it’s Sunday and this means that I am not blogging today. I usually need this day to get away from the computer to spend some time in “the real world” and stay sane 😉 But this Advent I will joyfully make an exception as I love the idea of Ksenija’s link-up party. Show me your cookies! 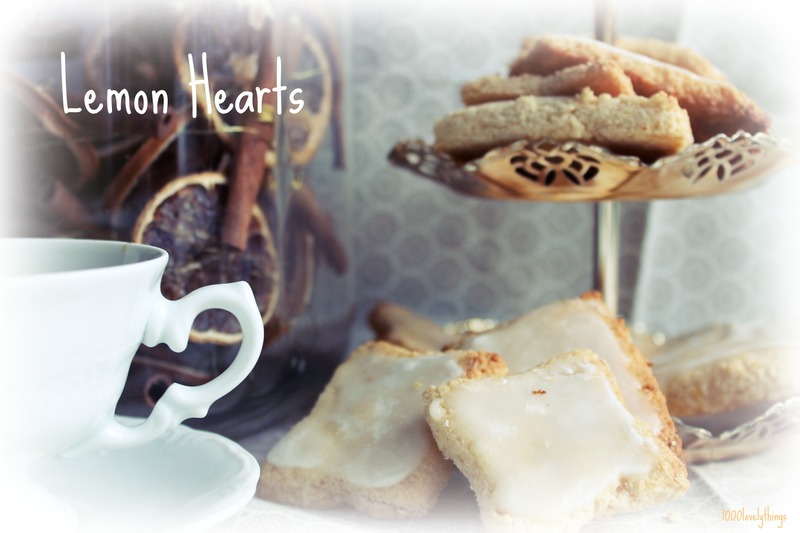 Before you yell at me that I promised hearts and do not show hearts at all I have something to admit: When I had the dough prepared ready to cut out beautiful hearts I realized that I do not own a single heart-shaped cookie cutter! Shame on me! I can’t explain why as I really have about 50 cutters! So I needed to improvise and make lemon squares. 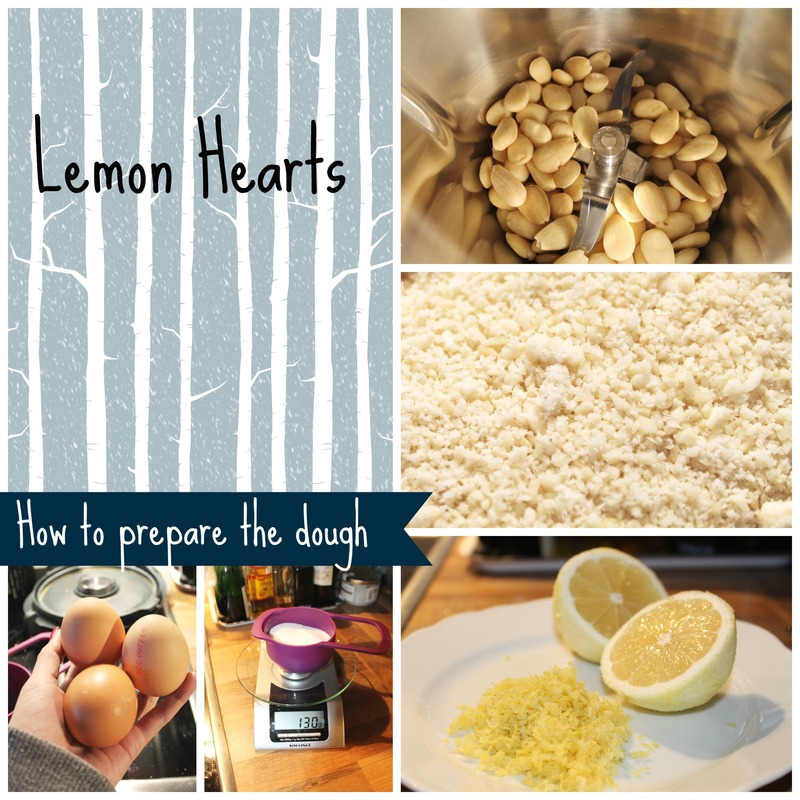 I still call them hearts as the supposed shape is a heart and I really like the idea of lemon hearts. So please, bear with me! They taste even better after a few days. You should make sure they’re completely chilled and firm when you put them away for storage as they stick together otherwise. I hope you love them as much as I do! The recipe is pretty easy and straight forward. If you want to have them all pretty and neat you must use an almond grinder wich might take some time. My mother-in-law really makes them from scratch. That means watering the almonds overnight, peeling them, grinding by hand… so she doesn’t agree with easy and straight forward. Her’s of course a much prettier. But let’s face it I have no time for that and the taste doesn’t suffer at all! See you tomorrow frieds with some tortilla filling ideas! Ooh, I love cookies! Though I prefer eating them to baking them. 😛 I just don’t have the talent or patience to bake my own, but I’m learning and trying. These look amazing as well as being super adorable! We all need to take a break from blogging sometime and I am so happy, Juli, that you are giving your Saturday to bake for my little party! 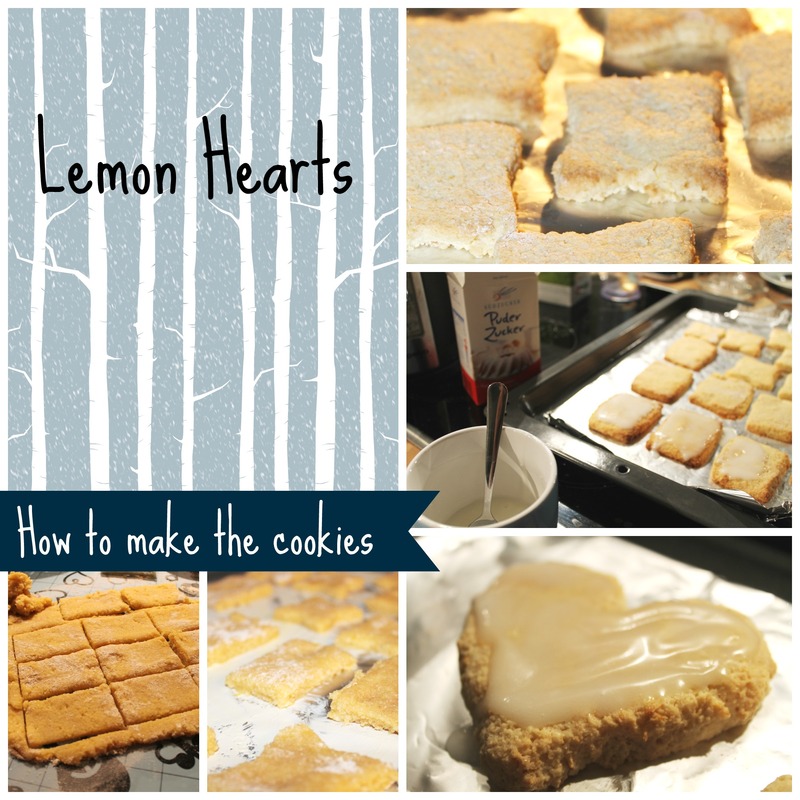 These lemon hearts sound sooo delicious and will definitely bake them for my family this year. Everything with almond meal inside tastes awesome if you ask me – the cookies always become so fluffy when I use it. I adore anything with lemon and then you toss icing on there as well. Count me in.